Travelers go through a security checkpoint at Reagan National Airport in Arlington, Virginia. Washington (CNN) -- A program that allows airports to replace government screeners with private screeners is being brought to a standstill, just a month after the Transportation Security Administration said it was "neutral" on the program. Though little known, the Screening Partnership Program allowed airports to replace government screeners with private contractors who wear TSA-like uniforms, meet TSA standards and work under TSA oversight. Among the airports that have "opted out" of government screening are San Francisco and Kansas City. The push to "opt out" gained attention in December amid the fury over the TSA's enhanced pat downs, which some travelers called intrusive. At that time, the TSA said it neither endorsed nor opposed private screening. "If airports chose this route, we are going to work with them to do it," a TSA spokesman said in late December. But on Friday, the TSA denied an application by Springfield-Branson Airport in Missouri to privatize its checkpoint workforce, and in a statement, Pistole indicated other applications likewise will be denied. "I examined the contractor screening program and decided not to expand the program beyond the current 16 airports as I do not see any clear or substantial advantage to do so at this time," Pistole said. He said airports that currently use contractor screening will continue to be allowed to. Pistole said he has been reviewing TSA policies with the goal of helping the agency "evolve into a more agile, high-performance organization." 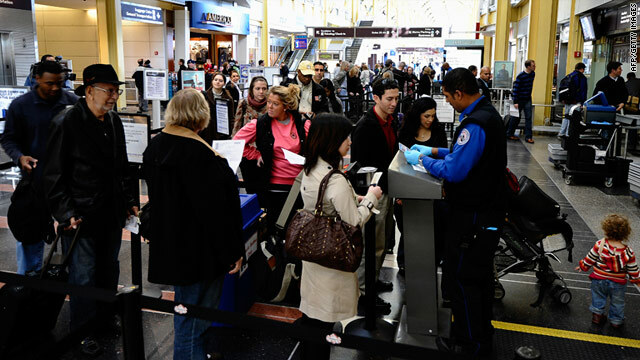 "It's unimaginable that TSA would suspend the most successfully performing passenger screening program we've had over the last decade," Mica said Friday night. "The agency should concentrate on cutting some of the more than 3,700 administrative personnel in Washington who concocted this decision, and reduce the army of TSA employees that has ballooned to more than 62,000." "Nearly every positive security innovation since the beginning of TSA has come from the contractor screening program," Mica said. A union for Transportation Security Administration employees said it supported the decision to halt the program. "The nation is secure in the sense that the safety of our skies will not be left in the hands of the lowest-bidder contractor, as it was before 9/11," said John Gage, president of the American Federation of Government Employees. "We applaud Administrator Pistole for recognizing the value in a cohesive federalized screening system and work force." Advocates of private screeners say it is easier to discipline and replace under-performing private screeners than government ones. But Congress members have differed over the effectiveness of private screeners. Mica said tests show that private screeners perform "statistically significantly better" than government screeners in tests of airport checkpoints. But the Government Accountability Office says it "did not notice any difference" during covert checkpoint testing in 2007. Both groups failed to find concealed bomb components, the GAO said. Test results are not publicly disclosed. On Friday, Rep. Bennie Thompson of Mississippi, the ranking member on the House Homeland Security Committee, lauded Pistole's decision. "Ending the acceptance of new applications for the program makes sense from a budgetary and counter-terrorism perspective," he said in a statement.